Rep. Raul Grijalva (D-Arizona) who leads the U.S. House Natural Resources Committee. He said Wednesday he’s convinced the Trump administration planned to shrink two monuments in Utah before starting a sweeping review of 27 national monuments in 2017. The House Natural Resources Committee hearing revealed a sharp contrast between the opposing sides of the national monument debate in a hearing titled “Forgotten Voices: The Inadequate Review and Improper Alteration of Our National Monuments.” Some witnesses described being snubbed by the two Democratic administrations — Clinton and Obama — that created the disputed monuments. But others voiced concerns about being shut out of the Trump administration’s monument review process two years ago. “How we got here, how this decision was made, the role people played — it is my firm belief that this was a predestined outcome and everything that has occurred since then has been to justify that outcome,” said Committee Chairman Raul Grijalva, an Arizona Democrat. Grijalva said he would continue to investigate the Trump administration’s decision-making and to make the investigations transparent. “And any legislation to try to make this situation whole is something we’ll be exploring in the near future,” he concluded. Witnesses included Representatives from three of the five Native American tribes that advocated creation of the Bears Ears National Monument — the Zuni, the Hopi and the Ute tribe. All three described the Trump administration’s Dec. 4, 2017 proclamation shrinking Bears Ears as “illegal,” echoing arguments in pending federal lawsuits. “How would you feel if I took an ATV and rode around in your church area?” testified Clark W. Tenakhongva, vice chairman of the Hopi tribe, pointing to the risk of oil and gas development on sacred lands. Grijalva also invited testimony from a paleontologist, David Polly, who described the important scientific role of the Grand Staircase-Escalante National Monument. He told how monument status does not protect fossils, per se, because federal law already does that. Dana Waggoner, owner of Escalante Outfitters, and Nicole Croft, director of the local friends organization, Grand Staircase Escalante Partners, told the committee that — contrary to reports from those who support the shrunken monuments — monument designation has helped surrounding communities thrive. But they said Utah’s elected leaders and Trump administration reviewers reject that perspective. 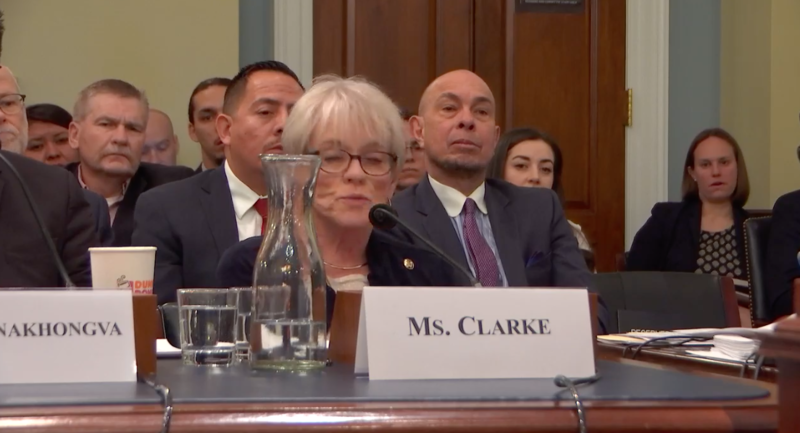 Kathleen Clarke, director of the Utah Public Lands Policy Coordinating Office and former director of the U.S. Bureau of Land Management, told the House Natural Resources Committee that the Antiquities Act should be reformed and that Congress should be more involved in lands management. Credit Screenshot U.S. House of Representatives. Minority-party witnesses included a Garfield County Commissioner, a representative from the local group Stewards of San Juan County and Gov. Gary Herbert’s public lands policy advisor. All three described being left out of decisions by the Obama and Clinton administrations which created Bears Ears and Grand Staircase, respectively. Utah Republican Rep. 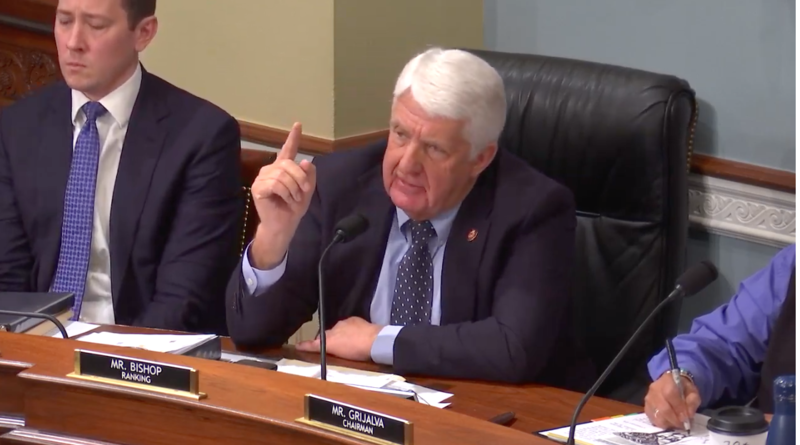 Rob Bishop highlighted their comments as an example of how the Antiquities Act is “broken.” Bishop, who chaired the committee for the last four years, said the Antiquities Act does not require input by the public or anyone else. That’s why he has legislation to change it. Bishop has said that only Congress – not a president using the Antiquities Act — can give the tribes authority to help manage resources like the Bears Ears National Monument rather than merely an advisory role. U.S. Rep. Rob Bishop, a Utah Republican who led the U.S. House Natural Resources Committee for four years, wants to revamp the Antiquities Act to allow more local input into any decision to create or reconfigure national monuments. But it is not clear whether GOP plans to revise the Antiquities Act and allow for local input on monument management will have enough congressional support to advance. An effort last month by U.S. Sen. Mike Lee, R-Utah, to tinker with the national monument law was rejected, 60-33. Democrats on the Natural Resources Committee zeroed in on documents made public Wednesday by the conservation group, Center for Western Priorities. The documents show that Interior Department officials ignored the advice of their own staff about protecting the national monuments’ value for paleontological research, including the discovery of 12 new dinosaur species. U.S. Rep. Mike Levin, D-Calif., said the voices of companies and Trump administration supporters were given priority in the administration’s review of 27 national monuments two years ago. The Democrats also cited recent reports about a uranium-company lobbyist who met with the Trump administration to seek smaller boundaries for Bears Ears even before the monument review got underway. That lobbyist, Andrew Wheeler, is now administrator for the U.S. Environmental Protection Agency. 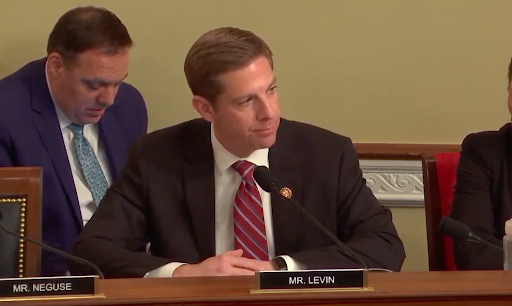 “I think it’s time to continue to shed light on the Trump administration’s efforts to line the pockets of its supporters to the detriment of our public lands,” said Rep. Mike Levin, D-Calif.